Don’t like the new Z4-ish, fifth-generation Toyota Supra? Awww. You don’t say. 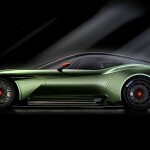 But perhaps, this souped up, racing iteration may change you mind. Maybe? 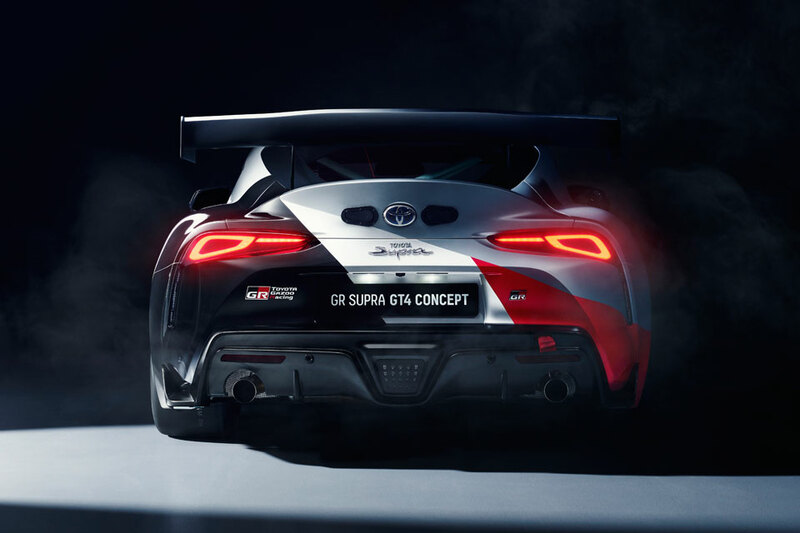 Anyways, Toyota will be debuting the Toyota GR Supra GT4 Concept at the 2019 Geneva Motor Show which will happen between March 7 and 17, 2019, in Geneva, Switzerland. Toyota GR Supra GT4 Concept was developed as a racing study model based on the GR Supra unveiled in January. 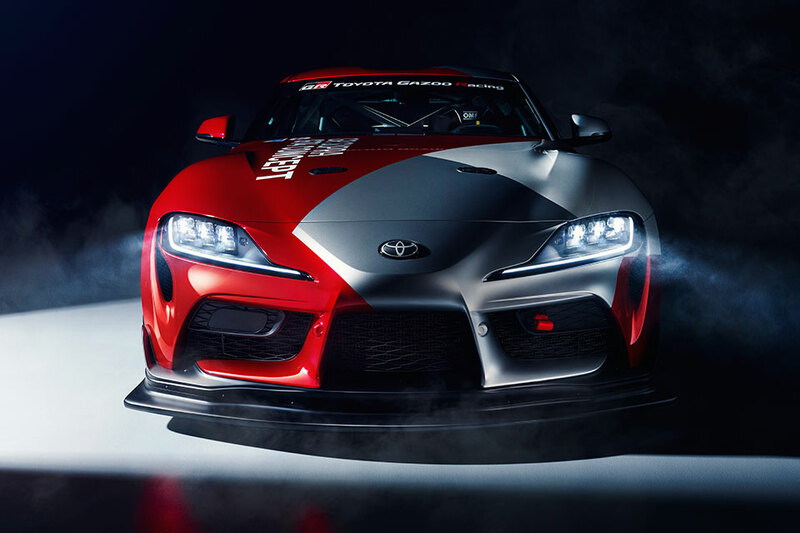 True to it being Toyota GAZOO Racing’s first ‘global model’, the Toyota GR Supra GT4 Concept was developed by Toyota Motorsport GmbH to “explore the possibility of using the GR Supra in custom motorsports such as privateer racing.” Oh, wait. Did you find it a little familiar? 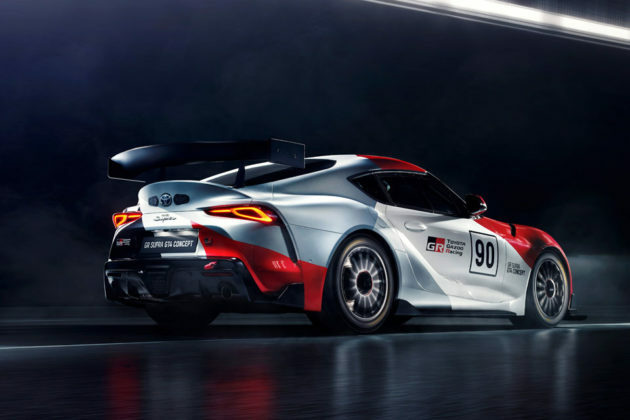 Well, if so, that’s because, last year, Toyota took the wrap of an early concept which it called Toyota GR Supra Racing Concept and so, this one here is an updated version with an official name. Little is known about this racing color-draped, souped up Toyota Supra though, except that it is “even more light-weight” over the commercially available Toyota Supra, and it is equipped with race specific parts including roll cage, suspension, brake and obviously huge rear wing. Also obviously, the GT4 is going with the 3.0L straight six engine with single twin scroll turbocharger. 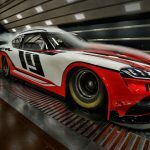 Anywho, it is not only NASCAR that new Toyota Supra is taking on, but the automakers also hope private teams will be taking the long-awaited come back of a legend onto the track. 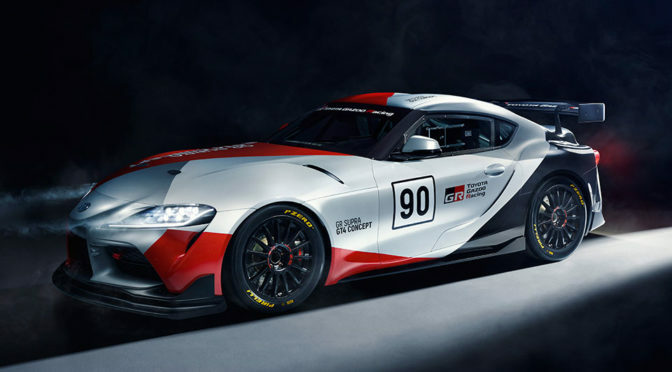 Not only that, Toyota Supra will take part in the Nürburgring 24 Endurance Race, under the VLN Specials’ SP8T category (up to 4,000 ccm with Turbo). 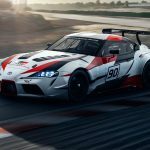 Further into the near future, in 2020, Toyota Supra will formerly take part in the Super GT, GT500 Class. It looks like Toyota is hell bent in making a ding in motorcar racing of all kinds, eh?